Hemet Unified School District created a new position, Assistant Superintendent of Student Services. Dr. Karen Valdes was hired to help support the work within Student Support Services, Child Welfare and Attendance, Special Education, Parent Resource Center, Health Services and the after school programs offered throughout the district. Dr. Valdes entered a career in education in the early 80s to help make a difference in students’ lives. Throughout college she worked in various capacities to help students either in camps or in orphanages. She brings a great depth of knowledge to Hemet Unified from her educational background, but also brings a keen insight into state policy and how the district implements new initiatives. Dr. Valdes was appointed last year by Governor Jerry Brown to serve on the State Board of Education. Her first-hand knowledge provides HUSD leadership the ability to bring policy into practice and see education through a broader lens. It also allows her to share her knowledge with the State Board and provide them with information on challenges local school districts are facing. 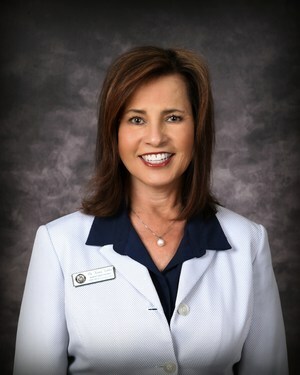 In the few short months since Dr. Valdes has been a part of the HUSD team, she has worked on implementing a system to help support the health, education and well-being of all HUSD students. Valdes’ focus is to identify root-causes of challenges students are facing and providing solutions for them and their families. She and her team are looking at the climate of each of the schools and working on increasing and refining best practices to ensure the success of all students. “In order to ensure our students are successful, we have been looking to provide additional resources for our students,” said Valdes. The district has been able to create partnerships with 13 local agencies that will help provide resources to students and their families. These resources include dental check-ups, physicals and counseling services to help in the district’s goal of supporting the whole child. Welcome to the Hemet Unified School District team, Dr. Valdes. We look forward to your future with the district and the commitment you show towards helping all students succeed!